Kathleen Grissom's follow up to the Kitchen House is a very riveting page turner and (lucky for me) a great standalone novel. When Glory Over Everything was first pitched to my by Simon & Schuster I was a bit intimidated about reviewing it since I haven't read The Kitchen House. Thankfully, I took the chance because I really enjoyed this one. I looked at my hands to see if I was the same person now I was free. There was such a glory over everything. The sun came up like gold through the trees, and I felt like I was in heaven. Inspiring words from a true heroine in a time where human rights and equality were in a very dismal state. 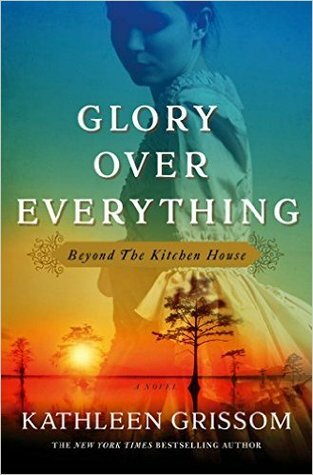 Glory Over Everything is a beautifully written novel that shines a different light on the topic of slavery. We meet the lead character, Jamie Pyke, who was born to a mulatto slave and a white master. Jamie was raised by his paternal grandmother and was raised "white" - wealthy and privileged. After a turn of events that leave him banished from his home, he escapes to Philadelphia where he builds a new life and persona for himself. Thirty years later, now living as wealthy aristocrat, James Burton. James continues to run from his past. It eventually catches up with him as he heads back to his roots in order to save a friend and in turn, himself. I truly enjoyed Glory Over Everything. What I enjoyed most was Jamie's character. Jamie was constantly on guard and riddled with fear that his past would catch up to him. It took him many years to reveal his secrets, even to those that were close to him. There was also his ability to love. His relationship with Caroline unravelled his passion and vulnerability. Finally, there was his fighting spirit that emerged in the latter half of the book as he re-entered territories where slavery had not been abolished. Being given the opportunity to see the world from Jamie's eyes was an emotional and exhilarating roller coaster ride. I would recommend Glory Over Everything to readers who enjoy historical fiction novels and of course to anyone who read and enjoyed The Kitchen House. You can hear more about Kathleen Grissom's inspiration and writing methodologies in the video below. Let's Take a Shelfie is the final stop for Simon & Schuster Canada's Glory Over Everything Blog Tour. 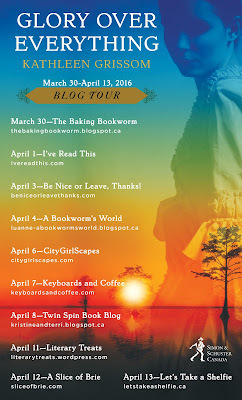 The image to the left lists the previous blog tour stops. Check them out as each blogger has some very interesting takes on the contents of this riveting novel. I received an advanced reader copy of Glory Over Everything from Simon & Schuster Canada for review purposes. I also obtained a digital galley of the book from Simon & Schuster via Netgalley. All opinions are my own. 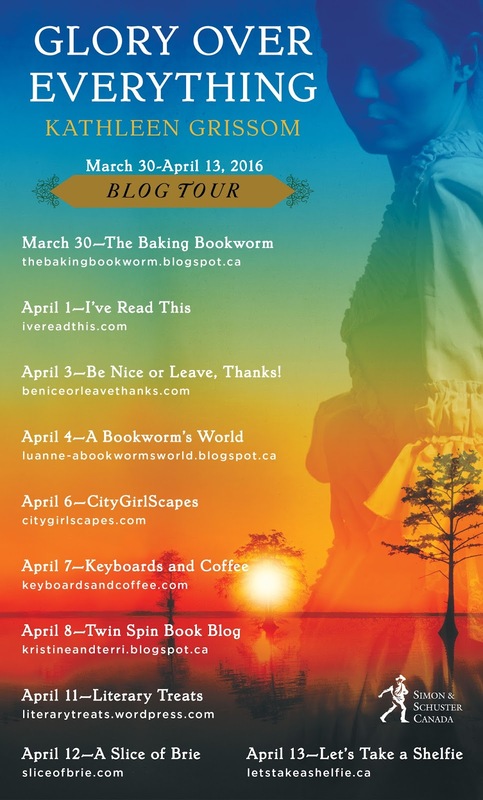 I wasn't hesitant at first to join the blog tour too as I hadn't read The Kitchen House either, but then I immediately went and read it lol. And I'm so glad I did! I definitely recommend reading it still as the story isn't about Jamie in the first book. I enjoyed them both so much! Great review!